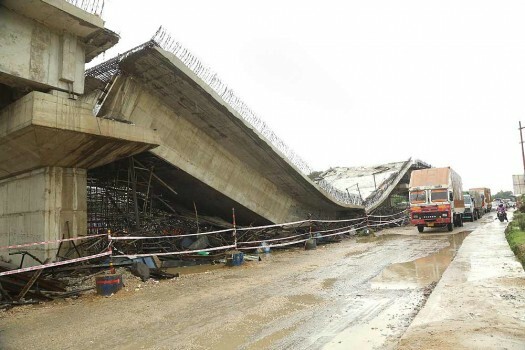 An under construction flyover collapses in Basti district. 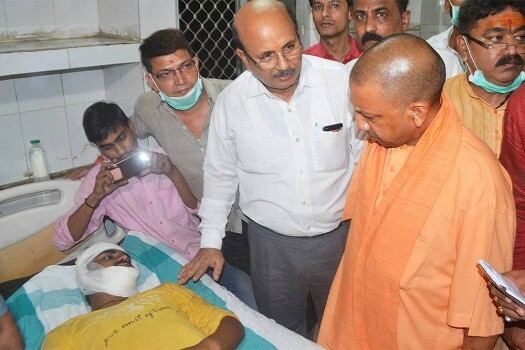 UP Chief Minister Yogi Adityanath visits an injured victim of flyover-collapse at a hospital in Varanasi. 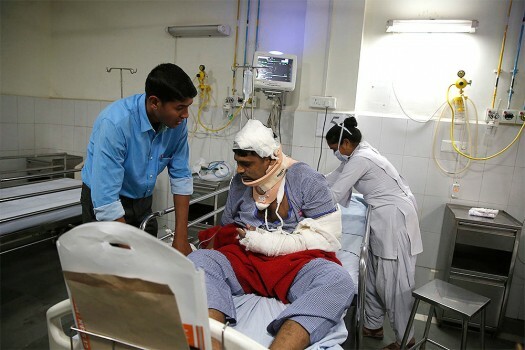 An injured man gets treatment at a hospital after a highway overpass being built collapsed in Varanasi. 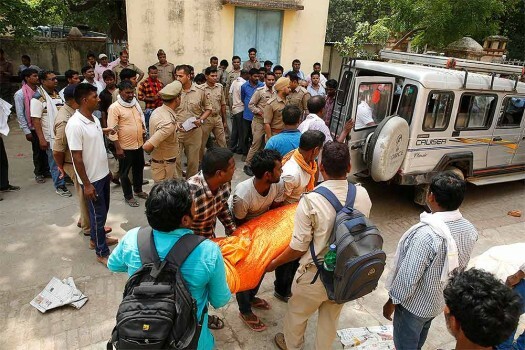 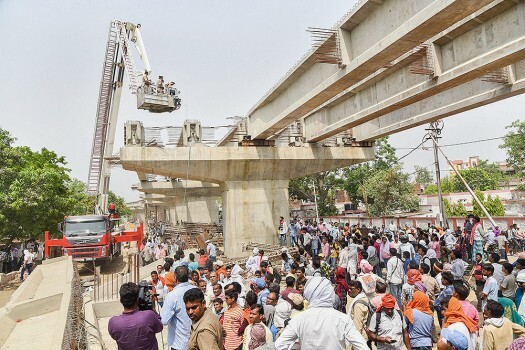 People carry the body of Sanjay, 35, who along with his father and two brothers got killed after a highway overpass being built collapsed in Varanasi. 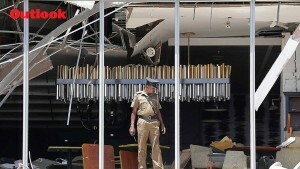 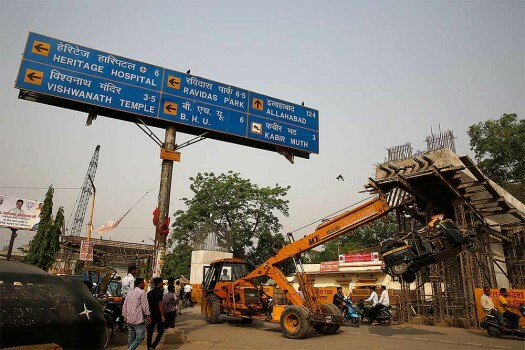 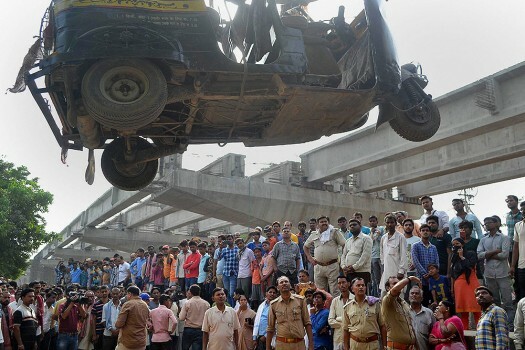 A crane is used to lift an auto rickshaw that got crushed after a highway overpass being built collapsed in Varanasi. 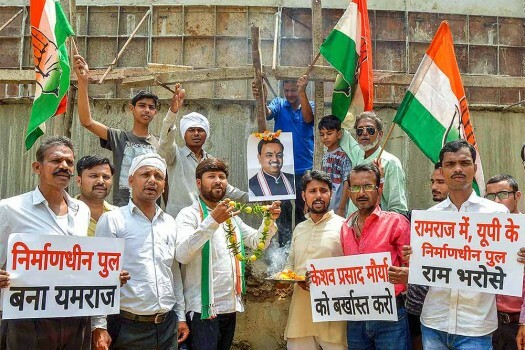 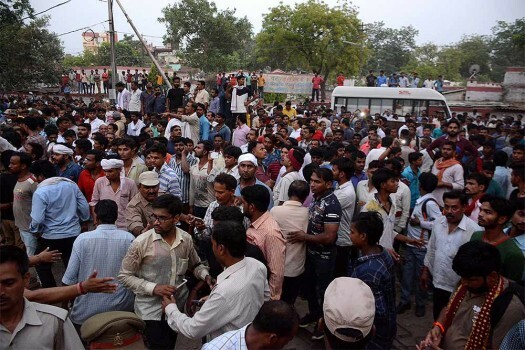 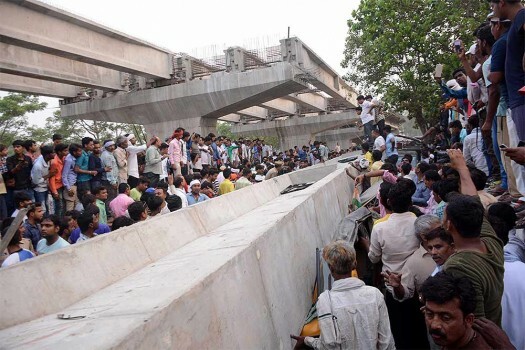 People gather at the spot where a highway overpass being built collapsed in Varanasi. 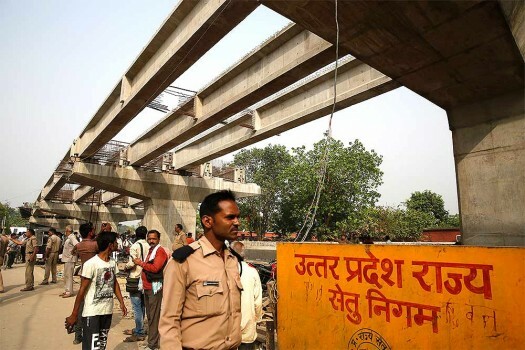 Rescue and relief works in progress at the flyover-collapse site in Varanasi, a day after the mishap. 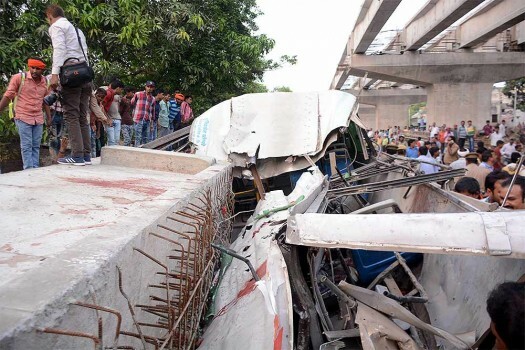 Locals and rescue teams gather near crushed vehicles after a portion of an under-construction flyover collapsed, leaving at least 12 dead, in Varanasi. 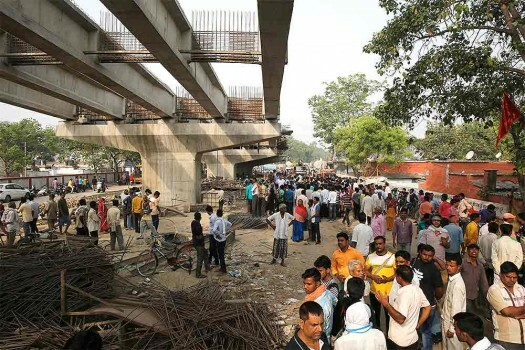 People gather near cars crushed after a portion of an under-construction flyover collapsed, leaving at least 12 feared dead, in Varanasi.